Like the world of narcotics traffickers, the HYIP world is filled with Walter White-types, the wire fraudsters and money-launderers next door. Beyond that, claims of great faith in God and miraculous money-making systems often accompany HYIP schemes. If you’re repeatedly joining murky HYIP schemes or pushing them, you’re engaging in the same sort of self-indulgence and self-deception chronicled each week on “Breaking Bad,” a program whose greed- and desperation-driven central character — Walter White — openly defies the U.S. government, helps crime thrive in the United States, Mexico and (now) Europe, sets the stage for political instability and for hostilities to develop among friendly nations, and rationalizes it as a necessary means of making money for his family. The MLM equivalent of a Walter White could be in your upline or downline. Such a figure also could be very close to the money flow, staying out of sight but positioning himself to influence or even extort the public face of the scheme. Another body was that of White’s own brother-in-law, a DEA agent murdered by a neo-Nazi White had hired to kill his business partner (and onetime chemistry student) Jesse Pinkman, the boyfriend of the woman who drown in her own puke. Yet-another body (actually a body part) was that of a DEA informant’s head mounted on a turtle after being severed by a Mexican cartel to send a message. The head and turtle were booby-trapped with explosives that detonated, killing a DEA agent. Still-another body was that of Gus Fring, a Chilean national, New Mexico drug kingpin and onetime White boss who laundered funds through chicken restaurants, pretended to be a supporter of the DEA and was killed by a wheelchair bomb planted by White in the nursing home in which Fring’s enemy Hector Salamanca, a onetime cartel enforcer, resided. White’s form of money-laundering was the classic car wash. But the writers easily could have provided him a different front, perhaps that of respected teacher who’d gravitated to the commodities field and relied on MLM-style pitchmen and boiler rooms to drum up business for the side operation and help clean up the cash. Court documents in the Commodities Online Ponzi caper describe “purported” purchases of “iron ore” and “related equipment” by the Florida-based firm in Mexico. The documents also point out that the enterprise was led by two individuals previously convicted of narcotics crimes in the United States and that more than $5 million mysteriously was wired to “accounts in Mexico” in March 2011 after one of the felons approved the wiring “directions” of the other — this after the first felon had received an SEC subpoena and the second had found out about it. More than two years after the SEC moved against Commodities Online, the precise nature of its business remains murky. As noted above, one of the things that is known is that two of the firm’s managers were associated with narcotics earlier in their lives and had criminal records for felonies and and yet somehow had managed to become investment executives. Now, one of those felons — James Clark Howard III — has pleaded guilty to mail- and wire-fraud conspiracy for his role in the Commodities Online scam. And, according to Howard’s proffer in the criminal side of the case, he approved the “directions” of fellow felon Louis N. Gallo III to wire millions of dollars to Mexico after Howard had been subpoenaed by the SEC. And, according to the proffer, Howard was one of the controllers of an enterprise known as SSH2 Acquisitions Inc., which has been sued amid allegations it, too, was conducting a Ponzi scheme. Howard also has been implicated in a separate Ponzi scheme targeting Haitian-Americans in Florida. Terralynn Hoy, who has not been accused of wrongdoing, is listed in Nevada as a onetime director of SSH2. SSH2 sued Howard, alleging he was conducting a Ponzi scheme. Hoy earlier had been a cheerleader for AdSurfDaily, which proved to be a $119 million Ponzi scheme. After that, she became a cheerleader for AdViewGlobal, a 1-percent-a-day Ponzi scheme federal prosecutors linked to ASD President Andy Bowdoin, now serving a 78-month sentence in federal prison for the ASD scam. Hoy later was listed by Zeek Rewards as an “employee.” In August 2012, the SEC described Zeek as a $600 million Ponzi and pyramid scheme. Bowdoin, like Howard, was a convicted felon, according to court records. AdViewGlobal launched in 2009, even as ASD was the subject of a major federal investigation. Zeek, whose business model strongly resembled the models of ASD and AVG, launched after both ASD and AVG had collapsed. With two convicted felons linked to the narcotics business at the helm, Commodities Online appears to have gathered more than $20 million. 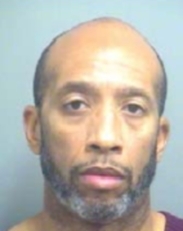 Howard III has plead guilty to “Attempt and conspiracy fraud”, one count. The other charges, (fraud by wire, mail fraud, and laundering of monetary instruments) have for some reason been dropped. Those charges may still stand against the other defendants.